This top-ranked BSc equips you with the knowledge and skills you need to excel in your accountancy or finance career. 1:23 • YOUTUBE VIDEO Amir tells us how his love for cooking and attention to detail help him on his course. If you’re ambitious, determined to succeed in the field of accounting and finance, and have lots of drive, a can-do attitude and a strong work ethic, you’re ready for this course. During the Accounting and Finance undergraduate course, you’ll master your subject knowledge and acquire the professional acumen and key skills to stand out as a professional in your field. In each year of your degree, you choose a number of modules that allow you to either focus more deeply on finance and accounting, or to broaden your studies into areas including business forecasting and corporate social responsibility. Your career in finance and accountancy launches here. Over three years – or four if you choose to take a work placement or study abroad year – you gain a thorough grounding in a wide range of core and optional modules. You will become proficient in all areas of accounting and finance, from financial accounting and corporate finance to financial management, taxation and economics. You also have the highly valuable option of a study abroad sandwich year at one of our highly-respected partner institutions across the world. In an increasingly globalised business environment, this is excellent preparation. The Accounting and Finance degree is both highly selective and highly demanding. You will be working hard for the rewards it delivers. The degree is delivered in strategic partnership with the Institute of Chartered Accountants in England and Wales (ICAEW). By meeting the relevant criteria, you can achieve up to eight exemptions from the ICAEW's Chartered Accountant qualification (ACA) and receive similar exemptions from other professional accountancy bodies. Interact with top employers through numerous events and workshops at Cass Business School. This module focuses on the interpretation and use of financial accounting information as part of the effective operation of a business. Moreover it looks at the principles that underlie financial accounting, the application of these principles in recording transactions and the preparation of financial statements. This module gives you an understanding of the legal framework within which business decisions take place. It covers the following areas, among others: Overview of the English Legal System, Contract Law, Negligence, Business Ventures, Employment and Intellectual Property Law. The aim of this module is to provide you with knowledge of the workings of financial institutions, markets, products, services, customers, corporate governance, the accounting profession, their regulation and ethics. This unique practical module is led by experienced business practitioners and focuses on developing your individual business skills, through a series of discussions and practical exercises. By attending this module you will enhance your networking and reflective practice abilities, team working, project planning and research skills, analytical, business writing and team working skills. The aim of this module is to provide you with a comprehensive introduction to the main ideas in microeconomics, to enable you to start analysing specific markets and firms using a critical perspective. This module provides you with an underpinning and understanding of numerical techniques used in the business world to aid decision making. It presents the fundamentals of probability & statistics, and explores more advanced techniques such as data analysis, interrelations between variables, and forecasting. The aim of this module is to introduce you to the principles that underlie management accounting, to the application of these principles in preparing management accounting information, and to the use of management accounting information in the effective management of a business. Topics covered will include, among others: budgeting, costing for pricing and for decision making, investment appraisal. Assurance is one of the foundation blocks of the accounting profession and one of the knowledge modules of the ACA qualification offered by the ICAEW. This module provides you with an understanding of the assurance process and fundamental principles of ethics, and an ability to contribute to the assessment of internal controls and gathering of evidence on an assurance engagement. This module provides you with an understanding of company law and the main legal implications arising from the corporate structure. Alternative forms of business structures, such as unlimited partnerships and limited liability partnerships, will be outlined. You will be able to understand the role of shareholders and directors, and the main implications of insolvency laws. Both the impact of criminal law on businesses and how the law affects the role and work of the professional accountant will be examined. This module introduces you to the fundamental concepts of econometrics and its usefulness in analysing financial data. It is designed to give you an understanding of why econometrics is necessary, to provide you with a working ability of basic econometric tools and to illustrate their application in finance. This module introduces you to econometric tools for empirical modelling, accustoms you to applying these tools to estimation, statistical inference, and forecasting in financial markets and enables you to develop the necessary skills to critically interpret the results of econometric analyses. Recognition of accounting issues and understanding of accounting judgements implicit in financial reporting, are key to the development of a rounded understanding of business management. Building on the introductory financial accounting syllabus, this module will enable you to develop a wider breadth of accounting knowledge and the ability to understand accounting information in the context of recognised accounting standards and prevailing legal requirements. The module will enable you to select and apply appropriate management accounting techniques for decision making, planning, control and performance evaluation purposes. The usefulness of these techniques to modern business environments is critically examined. 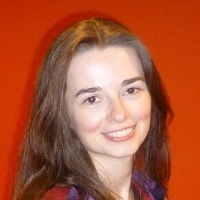 Emphasis is also placed on interpreting management accounting outputs as well as evaluating managerial implications of management accounting techniques. The module builds on the Introduction to finance module from Year 1, and applies finance to the pricing of assets in financial markets with the aim of examining how bond and equity prices are determined. Principles of Taxation is one of the foundation blocks of the accounting profession and one of the knowledge level modules of the ACA qualification offered by the ICAEW. By the end of this module, you should be able to understand the general objectives of tax and calculate income tax, national insurance contributions, capital gains tax, corporation tax and VAT in straightforward scenarios. By completing this module, you should become competent in addressing accounting issues related to Business Combinations and have a solid understanding of the concepts and application of various intermediate financial accounting areas - including intangible assets, financial instruments, provisions and contingent assets/liabilities, deferred taxation - in conformity with International Financial Reporting Standards (IFRS). The Corporate Advisory and Financial Services Industry requires graduates with a critical understanding and knowledge of modern corporate finance at an advanced level. As such, this module presents the fundamentals of valuation, investment, financing, and dividend policies, and exposes you to popular strategic and financial decisions, while developing self-learning and analytical skills to evaluate complex corporate finance problems. This course examines several types of corporate reorganizations: mergers and acquisitions, leveraged buyouts, spin-offs, and divestitures, as well as reorganizations in financial distress situations through private workouts and bankruptcy. Particular emphasis is placed on linking conceptual tools and institutional environments to real business decisions. This module discusses the goal and elements of business strategy - the strategy of firms within a given industry. It seeks to answer two broad questions. First, why is a business strategy important? Second, what are the key issues involved in formulating and implementing a business strategy? The module will provide you with a range of analytical tools that will enable you to analyse and evaluate business strategy questions. This module will equip you to develop knowledge and understanding of the process of carrying out the assurance engagement and its application in the context of the professional regulatory framework. It will also help you to explain the nature of internal audit and describe its role as part of overall performance and its relationship with external audit. In addition, it will explore the evaluation of information systems, internal controls, audit evidence, audit planning and the audit report. By the end of this module, you should understand critical aspects of managing an assurance engagement (including audit engagements): accepting, planning, managing, concluding and reporting. This is an advanced financial accounting module that builds on the introductory and intermediate financial accounting modules completed earlier in the degree. The aim of this advanced module is threefold: (i)to explore key theoretical financial reporting concepts, (ii) to examine the application of financial reporting issues in more depth and (iii) to inform about recent developments and major debates in financial accounting. This module will help you develop your independent critical thinking on financial reporting issues and increase your awareness to related ethical issues. This module builds on the work done on Principles of taxation in your second year of studies. This module aims to focus on the knowledge and skills relating to the UK tax system as applicable to individuals, companies, partnerships and groups of companies. By the end of this module, you should be able to prepare tax computations and provide tax advice to individuals, partnerships and companies in straightforward scenarios. The dissertation is a vital and substantial part of the final year of your degree. It will serve as a basis of discussion with prospective employers and as principal evidence of mastery of the chosen discipline. The dissertation aims to provide a link between the various subjects studied in your degree, while encouraging the production of independent research. It also aims to develop your critical nature; your ability to select appropriate methods of investigation and capacity to produce sound conclusions based on your research findings. Most contact hours take the form of lectures. A number of tutorials, exercise classes and surgery hours are scheduled during the first year, the number decreasing as you progress and you become more able to direct your own learning. 14% scheduled learning, 86% independent learning. For A-Level applicants we also require a minimum of grade 5 (C) in GCSE English and grade 7 (A) in GCSE Maths. For Access applicants we also require a minimum of grade 5 (C) in GCSE English and grade 7 (A) in GCSE Maths. If you do not meet the qualification criteria for this course, you may still meet the criteria for our Accounting and Finance Foundation course. The Foundation course is a one-year full-time programme that provides an entry route to the BSc Accounting and Finance course. Cass Business School gives you the opportunity to spend a year studying at one of our partner institutions, which are located around the world including Canada, Australia and Europe. A key part of a Cass degree is the opportunity to gain professional work experience. BSc Accounting and Finance students are eligible to undertake a one-year paid work placement during the third year of a four-year sandwich degree programme. 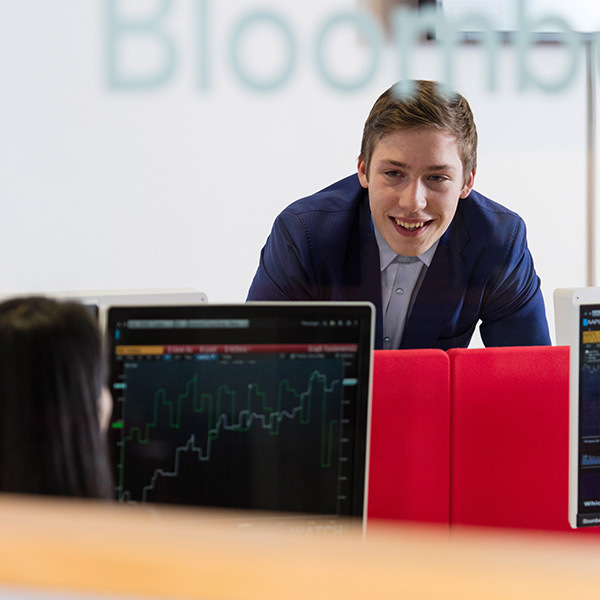 BSc Accounting and Finance students enjoy a wide range of professional placement opportunities in business areas such as assurance, audit and tax. Although this additional year is not credited and will not count towards your degree classification, it is a recognised part of the degree programme and will be endorsed on your final degree certificate. The placement year with a recognised ICAEW employer would contribute towards the work experience requirements of the ACA training agreement. The Micro-Placements Programme provides an opportunity for students to take on exciting projects and gain real life experience to enhance their core employability skills and explore different career options. Micro-Placements are between 2-5 weeks long and take place during the summer, between June and August. You can also choose to do a full-time or part-time Micro-Placement which works according to your schedule. This is an ideal time to gain work-experience as it will not interfere with your studies and is not a lengthy commitment. * The fee for this course in 2019/20 is £9,250 for each year of study. BSc (Hons) Accounting and Finance is structured to ensure you leave the programme with highly marketable knowledge, ensuring you develop the practical skills and professionalism for your career. The undergraduate course produces well-rounded graduates with skills that are relevant to a wide range of careers in business, finance and accountancy. "As a result of the business and global acumen I developed at Cass, I was able to get three job offers from some of the top accounting firms and it continues to help me excel at work everyday." Successfully obtaining the BSc Accounting and Finance allows exemption from the exams of several following professional bodies. CII Insurance students: 530 Business and Economics (worth 30 credits at Advanced Diploma level), 25 non-unit specific credits at Diploma level. CII Financial Planning students: 30 non unit specific credits at Advanced Diploma level, 25 non unit-specific credits at Diploma level. Direct entry into Stage 2 (second year; FHEQ level 5) of the BSc Banking Practice & Management degree.